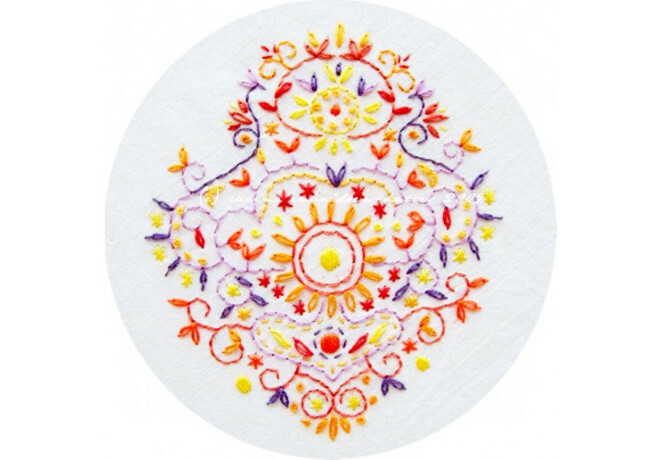 Rococo Sunset is an original embroidery pattern from Polka & Bloom. This will look lovely framed in an embroidery hoop, simple and pretty. Or make it in a single colour on a solid coloured background for cushions or a table cloth! You can even turn it upside down so it's really 2 patterns in one! Once payment is completed you will be able to download your purchase. The pattern and images are copyright Carina Envoldsen-Harris 2009 and are for personal use only. You may not sell the pattern or any items using the pattern.